Psychopathia Melomania est fier de mettre en place son premier concours et ce grâce à Replica Promotion. En effet, nous vous offrons des cartes postales du groupe canadien Annihilator. 1. 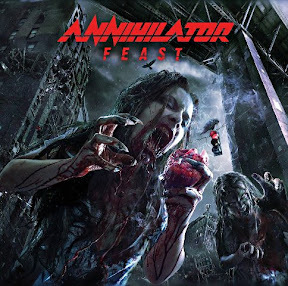 Pour l'édition limitée digibook du nouvel album d'Annihilator "Feast", comment se nomme le titre du CD bonus qui est inclus dans cette édition spéciale ? 2. Quel est le nom du chanteur qui a participé à la chanson numéro 5 du nouvel album d'Annihilator ? 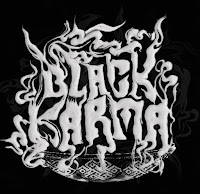 Psychopathia Melomania is proud to introduce its first play and that thanks to Replica Promotion. In fact, we offer postcards of Canadian band Annihilator. 1. For the limited edition digibook of the new Annihilator "Feast" album, what is the name of the title bonus CD which is included in this special edition ? 2. 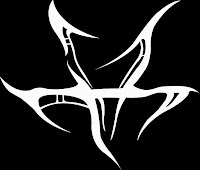 What is the name of the singer who participated to the song number 5 of the new album of Annihilator "Feast" ?